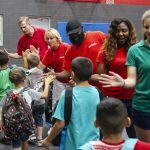 When Hope Burton walked into the Aera Academy for a recent Boys & Girls Club of Kern County field trip she only expected to meet petroleum engineers, but she was surprised by many of the career journeys of those who work at Aera. Like many of the high-school-age students visiting, Burton understood that Aera was an oil company, but she had no idea about the diverse range of career opportunities. As part of the Boys & Girls Club PG&E Summer Jobs program, about 50 students from Kern County-area high schools visited Aera to get a first-hand look at opportunities in the oil and gas industry. The day also provided the students a view of the industry’s deep economic connection to the community. 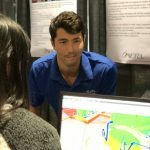 “I learned how much I didn’t know about the oil industry,” said Jordan Annis, a student at Bakersfield High, who added that he was surprised to learn about the different teams that work together to produce the energy California needs. Visiting students were met by Aera’s Ambassadors and companies that contract with Aera, including Braun Electric. Through the program, students are placed at local businesses as part of a paid internship, but being able to visit some of Kern County’s major employers is a critical step in the education of those participating. 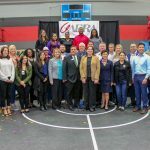 “We include visits like the Aera Academy and guest speakers to complement and expand our participants understanding of their community and the robust opportunities,” Smith said. For many students the realization of how much oil plays a part in everyday life came as a surprise. “It’s just a lot more than I originally thought,” said student Alexander Kaufman. During the visit, students were able to ask questions of Aera’s engineers, geologists and safety experts, but they also got to meet Randy Teel, Aera’s tax manager, and representatives from public affairs and human resources. 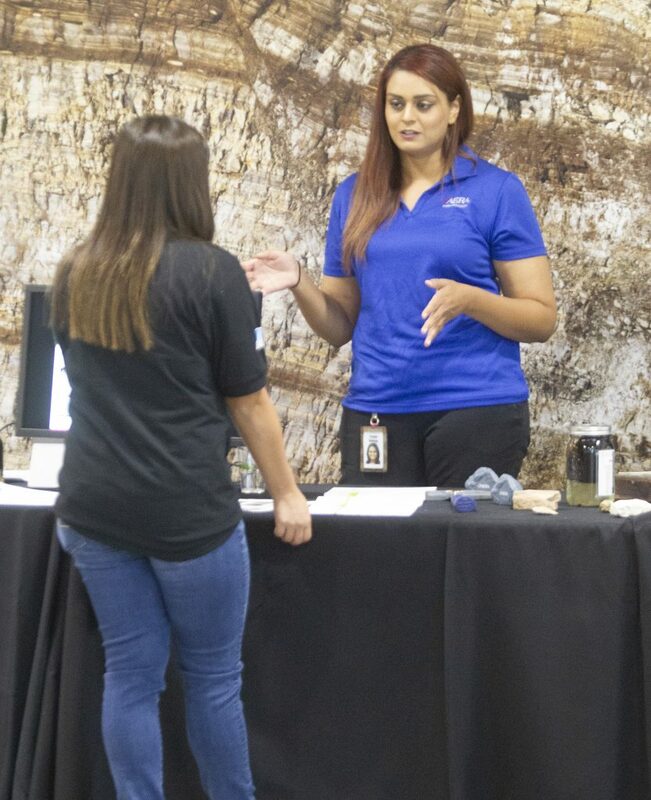 Geologist Simmie Chehal talks with a student from the Boys & Girls Club of Kern County during a recent visit to the Aera Academy. Just outside of the Academy, students were able to interact with contractor’s KSI, Qualspec and Braun Electric, which offers not only electrical contract work but produces safety videos for companies around Kern County. This latest visit is another example of how Aera’s Ambassador Program has leveraged the Aera Academy to provide a hands-on experience to students potentially interested in science, technology, engineering and math education and careers. 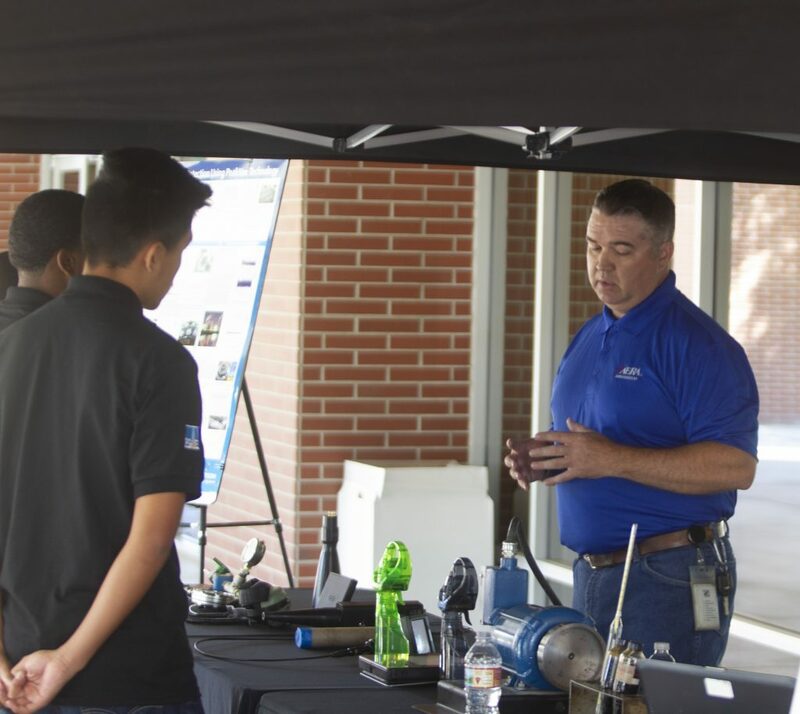 “The kids were amazed to see how much our business relies on technology and innovation which changed their perception of our industry,” said Rick Rust, Aera Energy’s public affairs project manager, who oversees the Ambassador program.